As we know, the technology moves at a rapid speed. Today, we have immense power in our hands than we had a few years back. AI has also been a charming concept in Hollywood movies for years. Many reports have shown that we are actually running very fast for making AI a reality. As per NPR observations, in the last few years, scientists have made improvements in “Machine Learning”, with the help of neural networks, which imitate the activities of real neurons. This is also called deep learning, that enables machines to process data on a very advanced level, enabling them to perform critical tasks like facial recognition. Big data is speeding up the AI development. 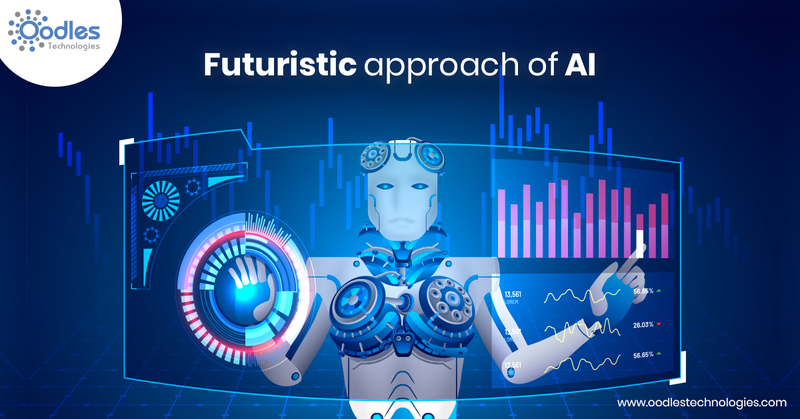 In this blog, I have mentioned the futuristic approach of AI and some ways it will influences our lives. One of the major restrictions of being a human is our own brains and bodies. According to well-known researcher Shimon Whiteson, humans will extend their powers and capabilities with the help of computers. These numerous viable cyborg enhancements would be affixed for accessibility, others may serve for a more realistic motive. Also, some experts think that AI will become helpful for people having amputated limbs because the human brains will become capable enough to cope up with a robotic limb. Technological improvements in AI will diminish the restrictions that amputees face regularly. We have seen the origins of driverless cars, though a driver is required for driving a car for the safety of the vehicle. In spite of these interesting developments, the technology is still in the development stage, and it will take some years for public acceptance to get driverless cars into public use. Machines and robots have already started taking over some of the life-taking, high-risk jobs like bomb defusing. Today, robots are not only limited to the simple robotic functions. They are replacing humans in bomb-diffusion but really required a human brain to control them. Apart from this, they are becoming life saviors as they have saved numerous human lives. After some time with technical upgradation, we will see AI integrating more with machines and help them function easily and smoothly. Resolving environment-related problems might be seen as a challenging task for a robot, but as per an expert, Mr. Sturat Russell, machines have access to a large number of data. They can store a breathtaking amount of stats. With the help of big data, AI can recognize trends and use that info to come up with solutions to the planet’s major problems. Although no one knows about the future, it is quite obvious that interactive AI is going to be a reality very soon and also it is a major step towards the futuristic approach of AI. These tech-advancements help our society grow at a rapid pace. We at Oodles Technologies, are expert in building AI enabled applications, chatbots, and can also do image processing tasks etc. For Any query you can contact us and we will connect with you in no time.